The Living Memory team is pleased to announce that our first temporary exhibition and a related programme of activities will take place at Haden Hill House Museum in Cradley Heath, Sandwell, 21st-30th June. We will be presenting a selection of photographs and stories that have been shared with us from the local area with a special spotlight on the Ron Moss collection. The exhibition also features new work around the collections by Walk Works, first year photographic students from Sandwell College and pupils of St Michael’s CE High School, Rowley Regis. We have organised a special celebration day that includes talks, archive sharing sessions and a creative writing workshop. We will also be in residence at Haden Hill House on several days to talk about the project and record more stories and photographs around local people’s collections. Our programme has been developed in collaboration with the wonderful team at Haden Hill House Museum, which is part of the Sandwell Museum and Arts Service. Read on below to find out more about what we have planned at Haden Hill House Museum. A selection of previously unseen work from the Ron Moss Collection curated by his family and the Living Memory Project team. His photographs of family life taken between 1940 and 1970 are a unique and outstanding collection that captures the lives of his family and friends. First year photographic students from Sandwell College have been busy producing their own creative responses to the project and will be showcasing some of their work-in-progress as part of the exhibition. 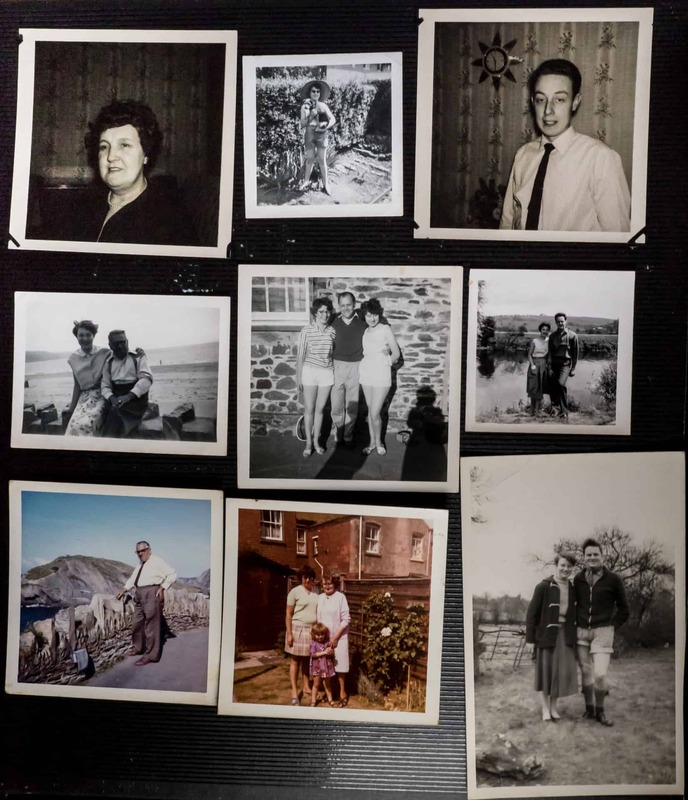 A showcase of some of the rich photographs and stories shared over the last few months during our workshops and events that took place in Rowley Regis, Grace Mary and Lion Farm. Fran and Vicki from Walk Works share samples of their work-in-progress currently in production as part of a series of community workshops around Cradley Heath and Blackheath. Pupils from St Michael’s CE High School, Rowley Regis, have been collaborating with local residents and project worker Rich Franks to create their own exhibition called Seven. Pupils will be on hand to discuss their work on 24th June, 11am-2pm. A day celebrating some of the key photography collections and archives from across the Black Country. We are delighted to bring together five specialists to discuss the unique collections that they have created over many years. We want to share some of the stories behind these collections and explore what the future may hold for these collections. Booking is essential as places are limited due to room restrictions. 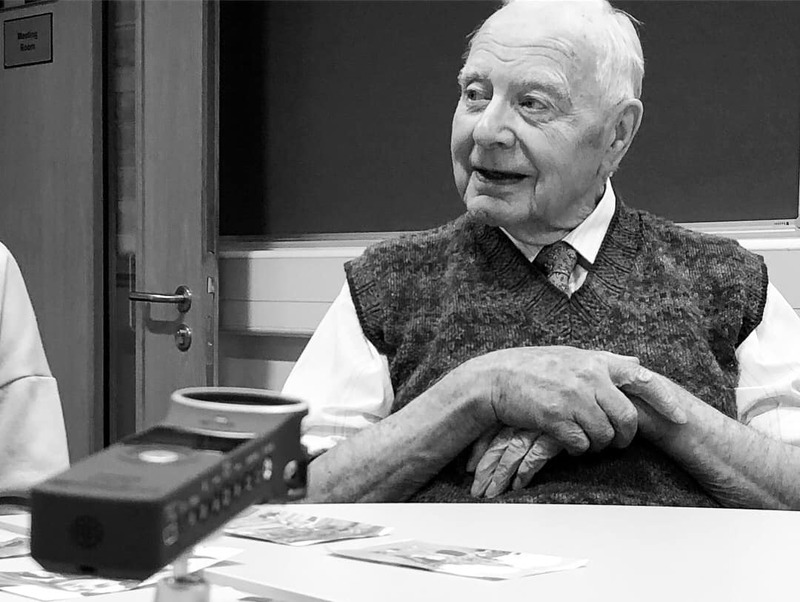 Geoff Broadway leads the Living Memory project and will be talking about what has been achieved so far and shares our exciting plans for the next 18 months. 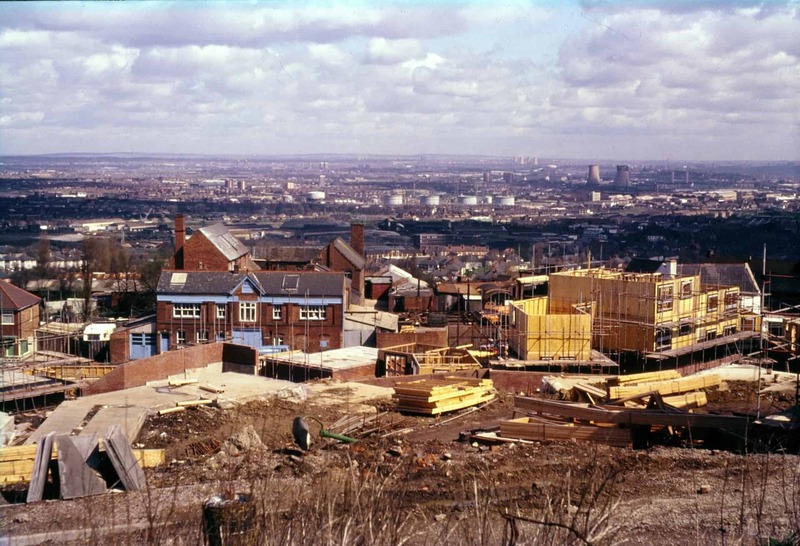 Keith Hodgkins, President of the Black Country Society, will talk about his own extensive personal archive of over 25,000 images that re ect changing face of the Black Country landscape from the 1960s onwards. Anand Chhabra from the APNA Heritage project will be discussing their award winning work around photography and Punjabi migration to Wolverhampton between 1960 and 1989. 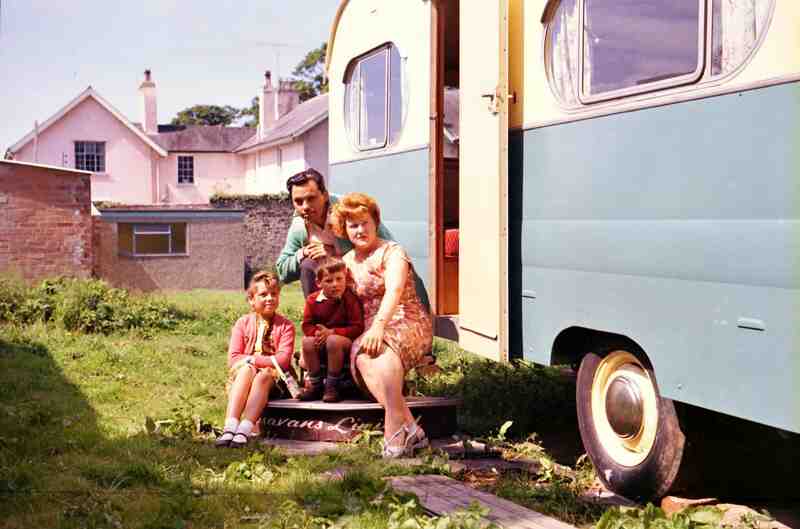 Brendan Jackson will share the story of the Jubilee Arts Archive. This online and physical collection documents the work of Sandwell based Jubilee Theatre and Community Arts Company between 1974 and 1994. 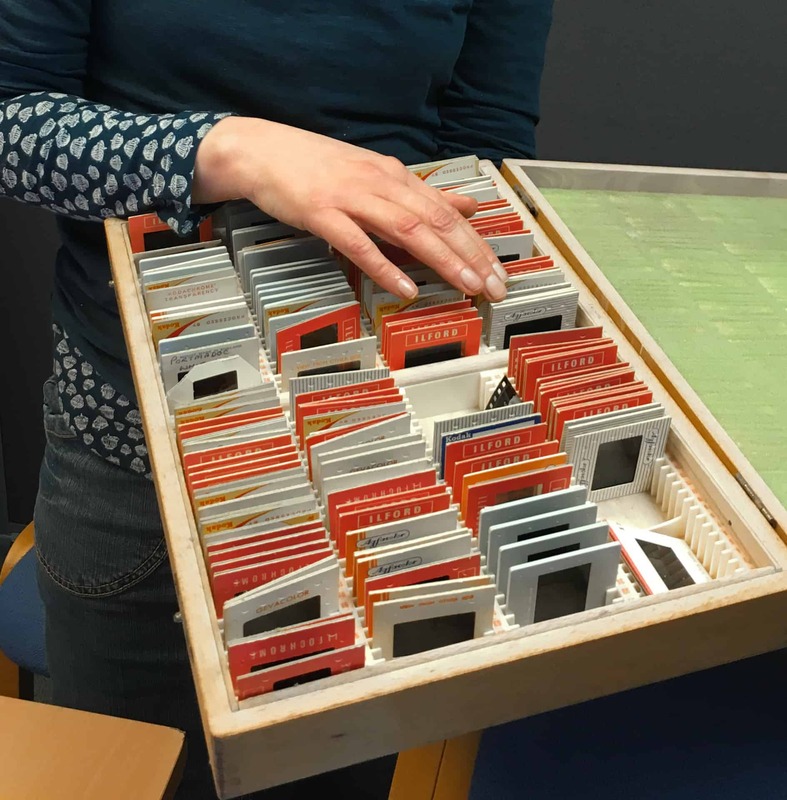 Maureen Waldron from Sandwell Community History and Archives Service (CHAS) will talk about some of photo collections held within Sandwell’s own archive. 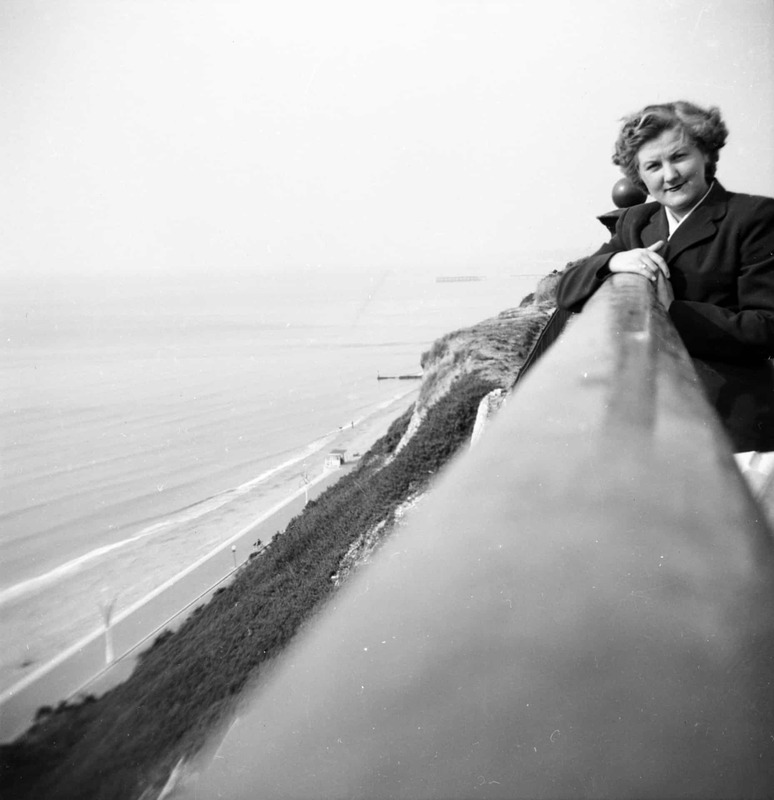 Louise Palfreyman will lead a short story writing workshop using archive images as a starting point. Expect fun exercises to get your creativity owing, expert guidance and come away inspired. If you have a personal image that you want to write about then we encourage you to bring it along on the day. Louise Palfreyman is currently Writer in Residence at the University of Wolverhampton and the force behind the writing hub Black Country Arts Foundry. The two hour session costs £4 and booking through Eventbrite is essential to reserve your place. 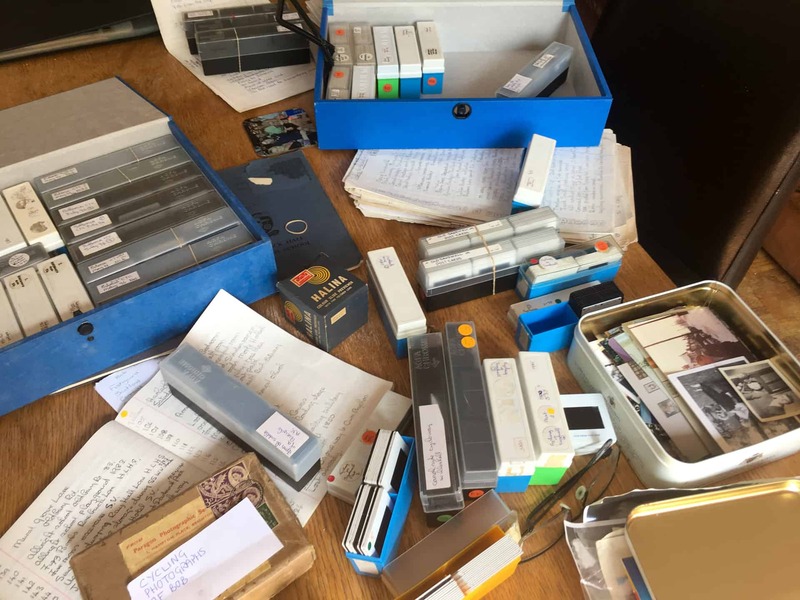 Sample materials from the Living Memory project, The Jubilee Arts Archive, The APNA archive and Sandwell Archives will be on view on Saturday 30th June. You can come and talk to us about each of the collections, look through some of the work and learn more about the background stories. We will be taking part in this year’s 1950s-themed event that takes place throughout the lovely park grounds. We be running a Living Memory stall and sharing some more of the fascinating stories and photographs we have collected. Bring along your own favourite photograph to share with the project or just come and say hello and arrange a time for a more in-depth sharing session. We will also be giving guided tours of the Living Memory exhibition. Our team of skilled volunteers are setting up a special recording and photo digitising studio within the Haden Hall House for the day. We are inviting you to book for a special session where you can talk about your own album, photography collection and record your story in your own words. You will need to make an appointment rather than simply ‘drop-in’. Contact Rachel at rachel@livingmemory.live to book your slot. We will also be available on the day for guided tours of the exhibition and to talk more about the project. 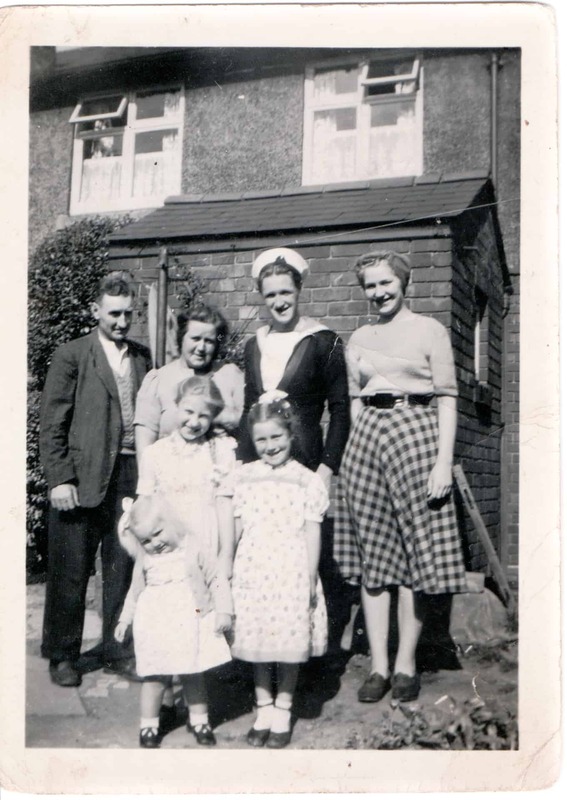 John Henry Price (back row in sailor’s uniform) and his family photographed outside their house in Warley Road, Oldbury, in 1950.